I agree with Bernard Pearson that in the three years since the People's Plan was launched, the world has changed. We face an austere future in which it is going to be largely up to us as a local community to drive forward any change or to preserve the best of what we have. We have to build our own "Big Society". So how can we get involved? Tim Adams who stood at the council elections counted 35 at the People's Plan meeting this August. I could only count 30. This was disappointing - but not surprising. It does make talk about "community involvement" in the People's Plan seem something of a joke at the moment. Were things any different when it was launched in 2007? I can remember going along to the Memorial Hall Sunroom where Jonquil Lowe and Colin Winder were there to answer questions and hand out free copies of their nice glossy report. I took one home and read it and since then it has simply gathered dust, so I decided before going further with this article, I should contact Jonquil. I am glad I did. Jonquil was a town councillor for many years and she is also an economist, financial researcher and is currently a lecturer in Personal Finance at the Open University. Sadly her commitments do not give her the time to be able to get involved directly with the People's Plan again, but I found her remarks very helpful. The plan was the result of a lot of hard work by varied groups of local people. It was part of something called the Market and Coastal Towns Initiative which provided the funding and set out the approach to be used. This Jonquil described as being qualitative rather than quantitative. This I understand means instead of starting with a Town Survey as had been done in '98 and '03 with a questionnaire to all, opinion was sampled by setting up interest groups and a meeting called to pull all their findings together. She thinks a Town Survey approach actually has advantages, but if done by post is rather expensive. The organising committee for the plan was ably chaired by Colin Winder. He was then mayor and the report that was produced was to a considerable extent based on the work of Jonquil who was employed as chief consultant. Some 400 people filled in response sheets and 80 turned up for a consultation evening. The result was a plan that sets out six "goals". These are really areas of concern which all affect each other - business/employment, shops, health, community, housing, tourism and leisure. I noted Education was not one of them and Jonquil told me various education issues were included such safe cycle paths but no mention of a new primary school because it was thought a decision about building one on the New Barns Farm development area had been made. Now we know it is still undecided and despite general agreement that it is badly needed, it will take a lot of effort to push that through. Reading the plan and looking at the goals in 2010 there seems room for revising some, updating or dropping others and adding new ones. How is this to be done in a way that will engage a significant number of our population of 5,000? So what do we have? To start with there is the report. 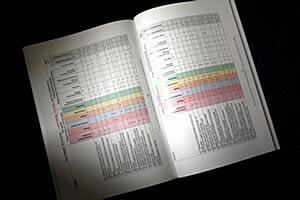 There are still some copies around available in the Town Council office, but you can also access the whole thing on your computer by going to the Town Council website. Doing this underlines one big change that has taken place since 2007. Internet access is much easier now with broadband and has been taken up by a clear majority of the population, even if between a third and a quarter still are not online. 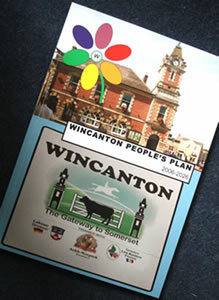 At the same time there is less coverage of Wincanton and its immediate area in local papers. The launch of the Wincanton Window as the town web-magazine does however improve things considerably for this means if groups are set up and new proposals made, papers, maps, photos and diagrams can be quickly and easily put up for discussion on the Window for all to see. People can post their comments on these immediately, as people did when we explored the issues involved with the new Health Centre - which was a first for us. This is a whole new way of working and thinking. It has yet to be recognised by those who are used to discussing things in small committee meetings and controlling information. It is also a way which can involve far more people, and it can actually involve and consult enough people for that phrase "the community" to mean something. As we start this exercise the WW is getting between 80 and 100 people looking at it every day and over 2,000 each month. Good going after only ten months, but still a long way to go for it to become the first and most obvious place most people turn to in order to find out what is going on around here. So please use it, express your views in it, and tell all your friends about it - and then it will be.